In a rapidly changing world the question arises how design education can stay relevant. Now that design is applied to many domains, what does it mean to be a designer? How do highly appraised institutes see their roles in the future? 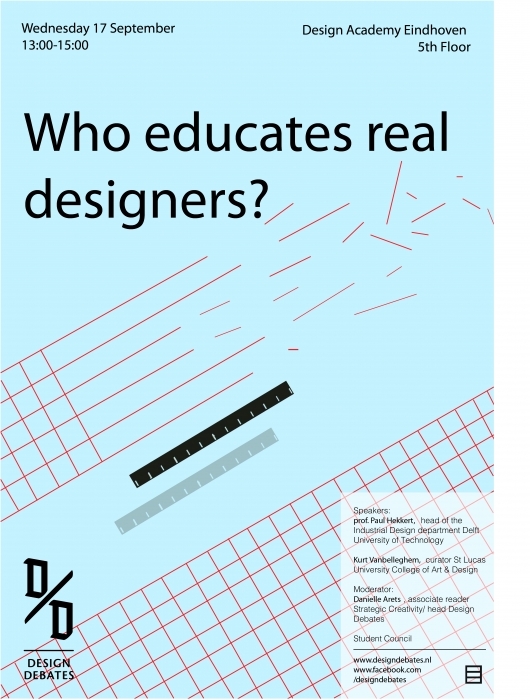 For this first Design Debate the design principals of Design Academy Eindhoven, Delft University of Technology and St Lucas University College of Art & Design in Antwerp are invited to discuss the future of design education. We will stress how the various institutes deal with innovation, economical and cultural developments. 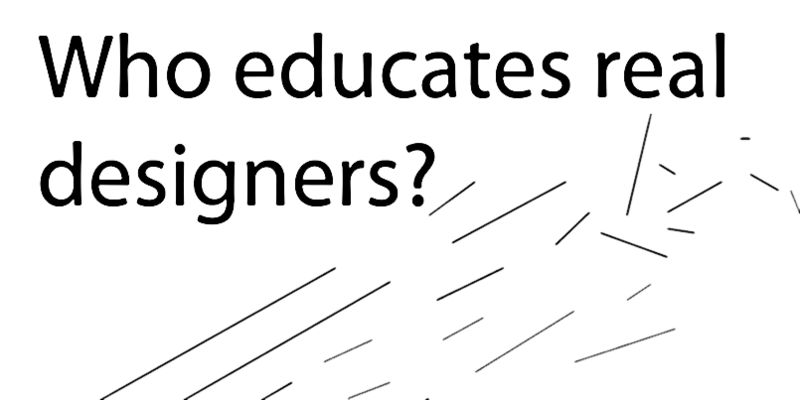 How should designers be educated? Share your thoughts at the debate! Kurt van Belleghem is curator Sint Lucas University College of Art & Design (Antwerp) & owner of Present Future. Van Belleghem develops extra curriculum projects with the art students and introduces them to professional and international networks. PresentFuture is a consultancy company within the field of contemporary design and contemporary art specialized in curating exhibitions, book publishing projects, public art project and social design processes. Henk Kuipers is coordinator of the bachelor department Industrial Design at University of Technology In Delft. He is also coordinating the Join master project where students of Industrial Design Engineering (Integrated Product Design, Design for Interaction, Strategic Product Design) work together on a design project.